After a four-year hiatus, Good Charlotte dusted off their guitars and blasted away the cobwebs when they announced their reformation in 2015. The following year, they sealed their triumphant return with a brand new album Youth Authority and now the alternative rockers present their latest album, Generation Rx. 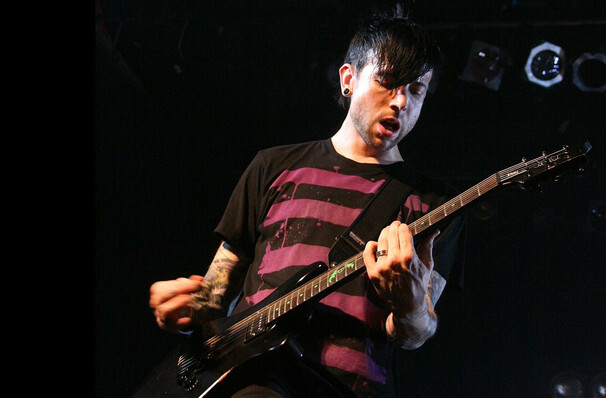 Providing an entire generation of teens with a soundtrack to their angst and rebellion, Good Charlotte dominated the airwaves of the early and mid 2000s with their electric and upbeat emo anthems. Led by the Madden twins, the outfit's impressive back catalogue is filled with hit songs like 'Lifestyles Of The Rich And Famous' and 'We Believe', so expect to mosh and sing your lungs out to certified classics as well as get a taste of the band's newest material. Seen Good Charlotte? Loved it? Hated it? Sound good to you? 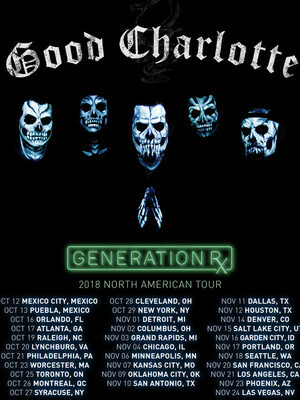 Share this page on social media and let your friends know about Good Charlotte at The Fillmore.